The car scene is Los Angeles is just as alive as it was in the early 2000’s Fast And Furious Era – except for the street racing and blasting tanks of nos. 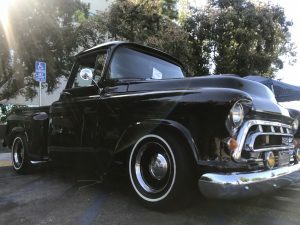 Though if you’re curious enough to venture out into the city of Los Angeles you’ll be delighted to find that cars are coming in hoards down the streets and settling down in empty parking lots. You’ll hear the revving of engines from miles away, you’ll see the candy paint jobs that blanket the car and you might even smell the burning rubber coming off the pavement if you’re lucky enough. I recently attended a car show myself last weekend at a Pep Boys parking lot and was thrilled to see that the event being hosted offered free refreshments and sold merchandise such as small keychains that resembled car parts. 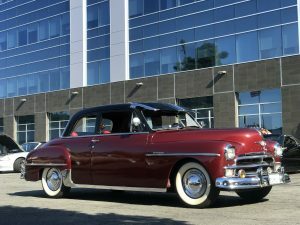 The event included rows of cars ranging from different time periods and offered a look through the automotive scene of the early 1950s featuring classics such as a 1957 Chevrolet Bel Air and the 1959 Buick Riviera. The show was not limited to earlier cars though as it also had on display vehicles from today such as the 2018 Dodge Demon and the 2018 Ford Mustang GT. If these cars call your name in any way you may want to consider attending a show to get a glimpse behind the curtain of what the car community looks like today. The events are often hosted during the weekend and times and places differ from those hosting. For those interested in looking to explore the car scene or just to get off the campus these events offer an amazing experience outside of your usual routine. You can try following some of the Instagram profiles listed below to stay updated on the local car scene below. How to Plan a Night Out: UCLA!